When I first heard about this film, I was interested. The story of the Iran Hostage Crisis hits a personal note with me in that my birthday shares that same tragic date. It was a stressful situation, and one that rocked Carter’s presidency. (So much so that if it DIDN’T happen we may not have ended up with a President Reagan.) Luckily it was all resolved in the end. The script attempts to take a true story and make it into a Hollywood blockbuster, but can the real movie about a fake movie about a real mission be something we all want to see? Don’t forget you can download the script here. It’s based on a true story. That right there will capture a decent portion of the public allowing the author to at least pitch the idea. Being that Iran’s currently in the news a lot, and a tension seems to be mounting, this can’t hurt the idea’s chances either. Ultimately, you’re taking a spy recovery mission and setting it into a piece of American History. The plot of the movie is VERY fast paced. We’re dumped right in the middle of a protest that turns into the taking of the US embassy in Iran. From there we have six folks escaping and hiding with the Canadians (Tim Hortons, eh? ), and ultimately led back to Washington to hear what folks are planning to do about it. Ideas are thrown out, and it’s up to the main character, Tony Mendez, to come up with a plan. His idea, to pose as a sci-fi film crew from Canada wanting to shoot on location in Tehran. As the rest of the plot flushes out, the story does a good job of bouncing us around. Tony doesn’t just go over to Iran, give the folks their fake backgrounds, and walk right onto the plane past security. A whole bunch of other things are going on in the background. The group has to head out, for the first time since hiding, to a crowded bazaar where they will pretend to be scouting a location. All in the midst of a very sensitive, and anti-US population. Will a maple leaf flag be enough to disguise them? The CIA pulls the plug on the entire operation a day before it they board the plane. The shredded documents are being reassembled and it’s discovered six people are missing. AND those six people just happen to match the photographs of the people who were at the bazaar the day before. Uh-oh! As I stated above, we as the readers weren’t led in a straight line from the beginning to the end. Did we know they would ultimately get out? Deep down, yes, but things were kept exciting as we went through. I’ll talk about this below, but we need to make sure we’re creating doubt as we go, while also spicing things up. If not, the reader gets bored, and when a reader gets bored chances are your script gets tossed. The characters were rather bland. A lot of the CIA and government types all blended together. As did the group of six holed up with the Canuckleheads. The three characters worth noting were Mendez, Siegel, and Chambers. All had a very cynical way of looking at the world that felt refreshing and interesting enough that I looked forward to seeing their names in the dialogue section. Most of the dialogue was okay, sans for some really good bits from the three characters mentioned above. It’s winter time, and the folks and the State Department wanting to call the shots don’t seem to be thinking rationally or aren’t sensing the urgency of the situation. Not going to copy and paste it, but I thought there was a really cool scene here. Instead of going over what each character thinks, they’re all spitballing ideas. Most of them aren’t completing a thought before being interrupted. This seems more realistic of how a time sensitive brain storming session would go. That we’re not going to make. What is the most interesting way a character can say this? The dialogue used is unique, both answering the questions and providing humor. It was a bit hard to follow at times. There was a lot going on, especially at the beginning. Once we settle into the story though, things start to clear up, and we’re treated to quite a few gems of imagery. Although I thought this needed a bit of breaking up, just from the standpoint of making it more manageable, it nonetheless made me visualize how work got done in the late 70s. I especially liked this one, as it not only described what was going on in the scene, but there was a certain subtext that was referenced to the environment. It stressed the point that Tony is playing with fire, and realistically won’t make it out. When writing our specs, we don’t really need scene numbers, so don’t worry too much about them. The second part of this is really frustrating though. Don’t use “we see.” We, as humans, don’t generally like to be told what to do anyway, so you’ll already be at odds there. Couple that with the fact that it’s sloppy writing, and your reader might not hang around. 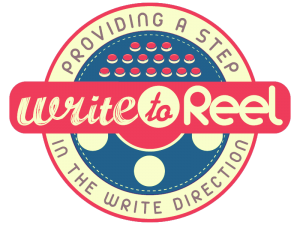 A better way to “lead” your reader was mentioned quite a while ago by one of our members. For that see How to Direct the Camera without Seeming to. 6.) What can this script teach us as writers? The best idea I took away from this story is to keep things moving. I can’t stress enough that we need to keep readers on their toes which leads to them being engaged. This script achieved that. I was engaged. From how Tony comes up with the plan until the minute the airplane leaves the Iranian runway, the plot kept me busy. We as writers need to learn to do the same things in our scripts. If our protagonist is going in too straight a line, another character, action, or consequence needs to get in his or her way. When hashing out a plot, beat characters up a little, or at the very least, pull the rug out from under them. 7.) What (if anything) should we avoid emulating? The up side is also part of the down here. At times there was TOO MUCH going on. In a few spots, I had no clue what was going on, so I just skipped ahead to the next scene, ESPECIALLY in the too frequent times of characters speaking simultaneously. The saving grace for this script was that it had enough to draw me back in. Characters talking at the same time. Real life footage playing against the events in the movie, too many characters. It was all very hard to keep straight. It’s good to have twists and turns, but we can’t overcomplicate things. That leads to a reader getting lost, and a lost reader is almost as bad as a bored reader, especially if we don’t provide them a road back from their confusion. I’ve watched the movie two weeks ago and it works well even for a non American audience like me. My wife and kids also liked the movie, but without consider it good enough for winning the Oscar. 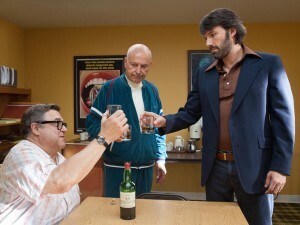 The larger-than-life true story of Tony Mendez’s rescue of six Americans during the Iran hostage crisis and alternating Hollywood backdrop naturally lend this material to the big screen. The recent declassifying of these events makes this slice of history even more fascinating. The subject matter is still relevant, and even regardless of the social context it’s a compelling story with high stakes and deep emotional resonance. Screenwriter Chris Terrio does a first-rate job of placing the reader at the center of the action, although the first few scenes of the script especially can be somewhat difficult to follow at times. After the extremely fast-moving and chaotic first act, however, the wheels of Mendez’s plan are very clearly set in motion, and the scene and sequence construction in the script is very logical — allowing for more development of the supporting characters/hostages followed by Mendez trying to earn their trust — and then expected obstacles: a failed dry run at the bazaar, the CIA pulling the rug out from under Mendez and canceling the mission. Despite the fact it seems inevitable in a situation like this that major and devastating setbacks will occur, Terrio’s execution of the scenes always keeps the stakes high, constructing these moments in a way that allows for the greatest possible amount of tension. Although most readers or audiences entering the theater probably suspect that the film will have a happy ending (it’s a Hollywood movie after all, isn’t it?) 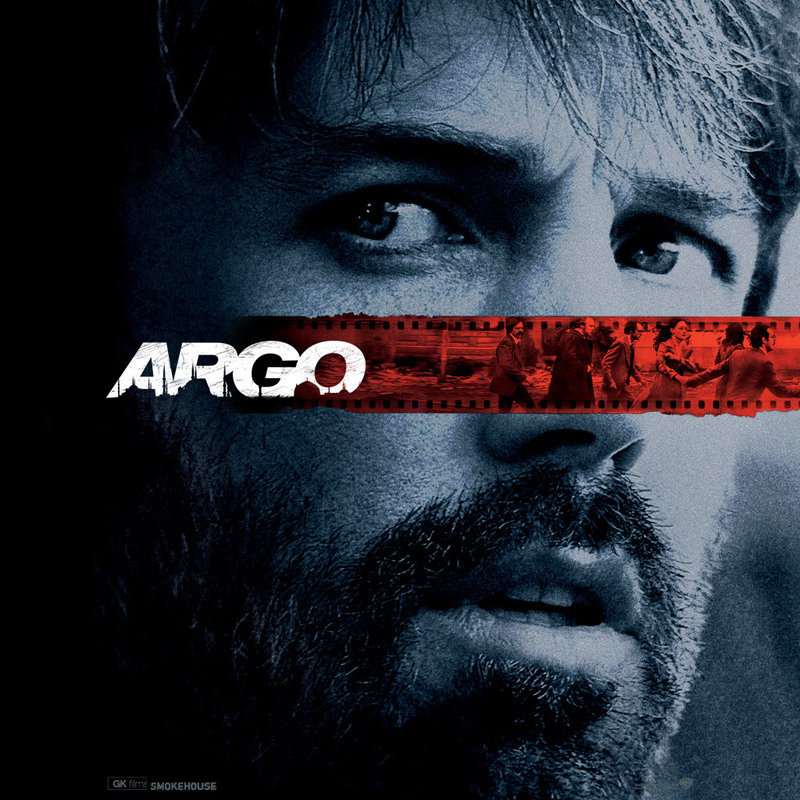 Terrio’s skill at MAXIMIZING the stakes in EVERY SCENE is what makes Argo so gripping and holds our attention throughout it. 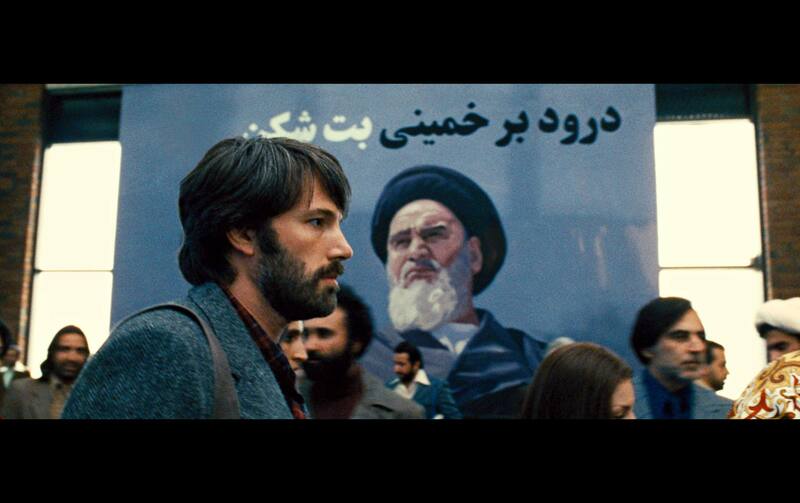 The characters in Argo are MEMORABLE. Even the minor ones. The hostages are developed significantly with their own distinct personalities so that they appear to us as real people. Make-up artist John Chambers and director Lester Siegel are wry, witty, and spewing with Hollywood vitriol. Mendez endures a substantial psychological journey from the beginning to the end of the film, with his personal life as well as work life extremely well-defined and detailed. The events in his home life (a broken marriage, inability to be there for his son) raise the stakes even more and help to compound and elucidate the impact of the film’s events on a human level. The dialogue is consistently snappy, funny, and fresh. It’s certainly a major strength of the script, a clear sign that Terrio is a real pro and not a novice. The dialogue pops, sounding as those in the industry would say “like real conversation, only better.” Tonally this means a lot of back and forth banter and sarcasm, but every character more or less still has a pretty distinct voice. Additionally, the beginning of the script, especially when Mendez is being briefed by State Department officials, unloads a huge amount of exposition but does so skillfully, in part due to the engaging and witty dialogue. But he’s already lost Mendez, who is going through a newspaper on the table. A Feed the Children thing — These kids are black. O.S. can make binders with starving kids — These are African kids. I’m sure there’s skinny kids… A logo with… seeds. What do you see in the picture, sir? A beat. Pender doesn’t like this, but he’ll play. So what crops are the do-gooders inspecting under Frosty? Exfils are like abortions. You don’t wanna need one, but when you do, you don’t do it yourself. A little experiment. You be me hearing you. The TV we’re watching sits in a room with a couple of Golden Globes and pictures of a younger Lester. ON TV, a wild-eyed woman in the crowd (in one of the most widely-played clips of the hostage crisis) makes an ax- falling gesture with her arm repeatedly. … and past a hundred Komiteh at the airport. Look, I wanna help you but… In the Army, we did suicide missions that had better odds. So lemme hit it again for the cheap seats: NO. Chambers stops at the muted television. More images of angry crowds. You ever think, Lester, how it’s all for the cameras? Siegel looks at the TV: at that moment, a HOSTAGE TAKER holding up photos of hostages for CAMERAS in front of him. He takes a beat. The format adheres to the industry standard, with sluglines (unlike Nightcrawler) or bolded text/images (again, Nightcrawler). Scenes are numbered, since it is a production draft. Double columns of dialogue are for the most part handled skillfully and not confusing. For a movie with so much action, action lines rarely dominate the entire page (except for one or two scenes near the end). “We” is used in a fair amount of the scene description, which while stylistically a point of contention does not draw significant attention to itself. The economy and familiarity of the script format allows for an easy reading experience. What can this script teach us as writers? ALWAYS KEEP THE STAKES HIGH. As I mentioned before, most of us going into Argo knew it would have a happy ending. That didn’t keep Terrio from elevating the tension to its highest point in almost EVERY scene. Ask yourself: What can I do to make the stakes greater? The story more personal? The characters more relatable? Follow Terrio’s lead and endow even the most minor characters with memorable characteristics and dialogue. Create significant obstacles and “all is lost” moments that test your characters to the brink and develop extensive personal profiles and histories of their work and home lives. Argo is a great example of allowing characters to dominate an event (plot) driven story. 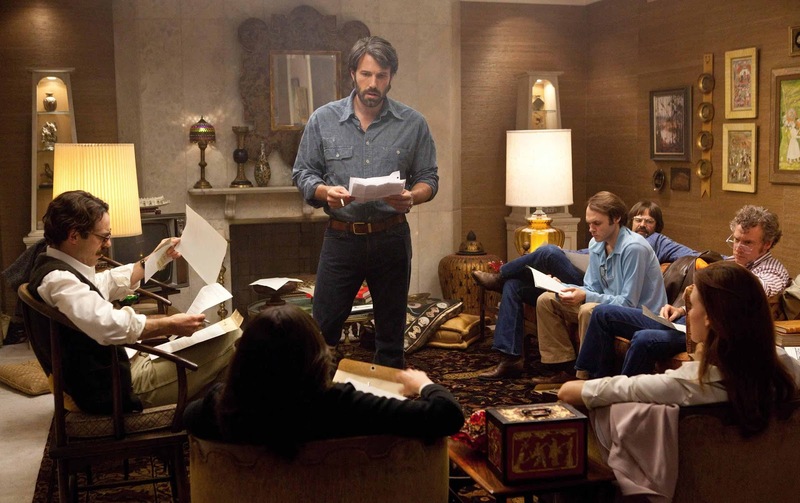 When writing scripts that contain a significant historical backdrop or might be considered “plot-heavy” always focus on the characters and remember that THEY must drive the action. A deus ex machina or action not arising from characters will have NO EMOTIONAL IMPACT whatsoever on the audience. Do not make that mistake. Lastly, Terrio doesn’t overdo it by choosing to not make Mendez’s troubled relationship with his wife an important plot point. Remember to focus on your character’s goals instead of aiming for a perfect ending. What (if anything) should we avoid emulating? One thing aspiring writers should note is that dialogue like Terrio’s can be especially difficult to pull off. If you’re writing a scene focusing on witty banter and not the character’s needs or desires, then it’s a wasted exercise. Characters drive the script. Even with a film based on external real-life events like Argo, it is the protagonist’s goal and success that makes the story so meaningful and emotionally potent. Sure, your characters can be funny, sarcastic people, but those are only qualities. What your characters want will drive the scene. Also, as previously mentioned, avoid confusing scenes with too many characters, even if there’s a lot of exposition to unload or a greater overarching reason for doing so. Focus on YOUR PROTAGONIST, their goals, obstacles, and other substantial characters in the scene if applicable. DO NOT create characters merely to relay information. Even the most minor character should serve a purpose. Impressive. 8.5 out of 10.